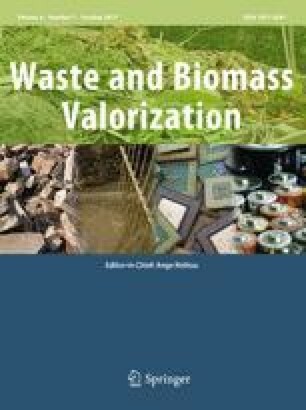 Lignocellulosic biomass includes agricultural and forest residues, which is a promising source for energy and chemical production when valorized through the biorefinery process. Xylitol is an important co-product in biorefinery. The production of xylitol is achieved either by yeast fermentation or by catalytic hydrogenation of xylose. However these approaches are not viable unless integrated. This paper presents a comparative analysis and the integrating opportunities of two processes for the production of xylitol, assessing the scope for individual integration as well as integration with upstream and parallel processes. The two processes examined are the fermentation of xylose by Candida yeasts (productivity 0.73 kg xylitol crystals/kg xylose), and the catalytic hydrogenation of xylose using a Raney Nickel catalyst (productivity 0.85 kg xylitol crystals/ kg xylose). The heat integration analysis resulted in conservation of 90% for cooling and 18% for heating requirements in the catalytic process. The corresponding results in the biotechnological process were 94 and 65% respectively. The economic evaluation estimated higher total investment and raw materials-utilities cost for the biotechnological process in comparison to the catalytic by 391 and 8% respectively. The economic indexes characterize the catalytic process investment as more secure and profitable. Financial support from the Consortium of Marie Curie project RENESENG (FP7-607415) is gratefully acknowledged. The authors would also like to thank Marilyn Wiebe and all the people working for the BIOCORE Project (FP7-241566), for their collaboration and excellent communication. See Tables 12, 13, 14, 15, 16, 17 and 18. Research and Markets: Xylitol - A Global Market Overview, report ID: 2846975. (http://www.researchandmarkets.com/reports/2846975/xylitol-a-global-market-overview) (2014), Accessed June 17 2016. Compass International, Global Construction Cost and Reference Yearbook, Compass International, Inc, 2016. “http://www.chemengonline.com/pci-home [Online]. European Central Bank, https://www.ecb.europa.eu/stats/exchange/eurofxref/html/eurofxref-graph-usd.en.html, Accessed 08 Dec 2016.